FurArtXchange is a competitive, but friendly, community where every fortnight one person's character is put up "for the draw". We then vote on the pictures to select the next Chosen. Both 2d and 3d art is accepted. Nov. 23rd, 2012 @ 04:19 am Missouri Convention & Black Friday Freebie!!! We are still looking for art and stories for the conbook as well! i said i'd be the first one in and darnit if i wasn't right! Get on it people! Welcome to the first round of FAX! Faolin Rudah is a pirate. Her mother was a tavern wench coyote and her father was a dire wolf pirate. While it may not have been love in at first sight, nine months later, little Faolin was born. Faolin is an adventurous soul, and one that is at home on the sea. She is fiercely defensive of her few friends, her ship, and more importantly, her freedom. Strong and intelligent, probably her greatest flaw is that she is a wrathful individual. 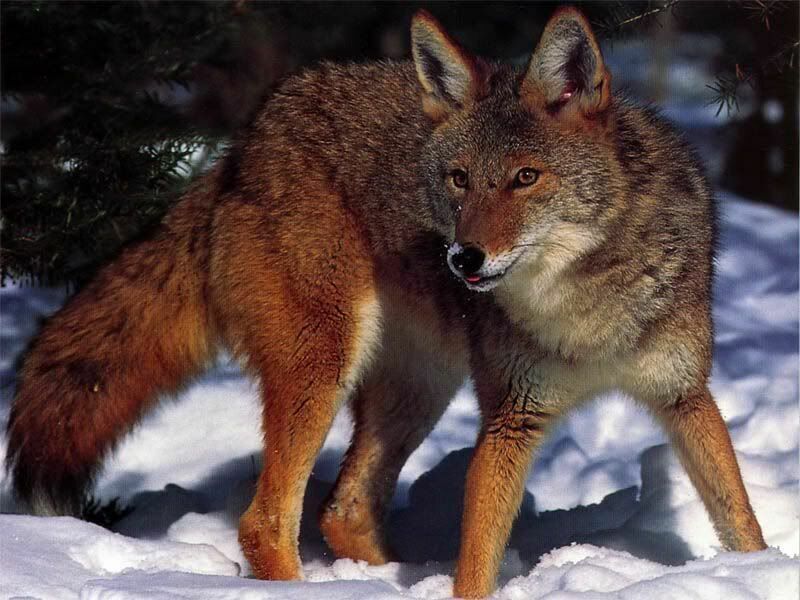 In coloration, she is mostly coyote colored, but more red. Her eyes are emerald green, and her hair is a bit redder than the rest of her fur. Her canines are long, and show even when her muzzle is closed. She wears standard pirate gear, including a tricorn hat, long frock coat, and thigh high boots. She is rarely seen without a brace of pistols, and often has a small gun blade with her, or a blunderbuss. Commodore Bastian Rimerez. He is a leopard, and (obviously) high ranking within the queen's navy. Though he has been sent to track down Faolin and bring her to justice, his deepest secret is that he is in love with Faolin. They have...ah...crossed paths a time or two...and he is pretty sure she returns his feelings. Good inspiration would be Pirates of the Caribbean. However, feel free to take your own interpretation of her, mecha pirate, sky pirate, Stardust, Iron Kingdoms, just have fun! Feel free to ask me any questions about her. This round will run until the 17th. Apr. 29th, 2008 @ 02:21 pm A New Round! A New Begning! Round will begin tonight as soon as I'm home from class. As soon as I can, I will update the min page with this info. Drop me a line, if there enough intrest, I'll prepare to reanimate the community in Feb.
Hey all... Just an update on that art project I posted on 2/19. I have just 3 animals left... Pig, Rat, and Monkey. If anyone is interested, please write me back! Feb. 19th, 2007 @ 07:37 pm project request. 12 artists needed. Greets all. I have a project that I'd like to get help on. I thought a little bit of an "exchange" format would be somewhat interesting. I make vinyl stickers, signs, magnets, and such... And it would be really neat to have a full set of the Chinese Zodiac. However, since I can't draw for crud, and have thus never had an active role in any of these 'exchange' groups, I thought this might be a chance to get involved. So I would like to find 12 artists (1 for each of the zodiac animals) who would be willing to draw a design for their chosen animal, and in exchange, once I have all 12 logos done, I will mail a full set of them, about 6" in size, to each of the artists who participate. 1. Please visit pandaexpress.com to see the one they designed. That'll give you a general idea of what I'm looking for. 3. Designs submitted should be one solid color (color of your choice) in order to facilitate ease of cutting into vinyl sheets of solid color. Eventually I will be able to print full color deisgns, but for now, it's gotta be a solid color. If you look at the one @ PE, it has some words around the circle, color background, and such. Please submit your design in a simple one color design on white or no background, without words, or with words in a seperate layer. I'm planning to cut the design so that you can see thru it, rather than a solid panel. 4. Designs should be sumbitted in a "vectored" format. AI, EPS, directly drawn in Corel Draw (up to X3), Photoshop (Up to CS2), or other formats as such. Tracing flat formats like .jpg takes something out of it, you know? 5. Plan your design to look good at a 6" size. I'd like to have them all fit a loose format for consistancy, so please design it around or within a geometric shape. As in the inspirational design, some protrusion from the shape is desirable. 6. Design must be original. (or something of your own design anyway) I would also ask for the copyright to produce the set of designs in a commercial environment. Thanks all! :) Hope to hear from a bunch of folks! I was part of one of the exchanges and someone drew a picture of my char Alopex, a foxy mechanic, and then they did a few pictures of Kya, my bearded collie char. Anyway, I can't remember which exchange it was in and I've gone through and looked at some of the other pictures and can't seem to find them. I saved them and now I can't seem to find them at all on my computer. Any information is very much appreciated and this is X posted to some of the exchange groups I've been lurking in.